Do you know a selfish brand? Most of us do. We encounter them constantly – trying to promote their latest and greatest product. Their ads seek to interrupt us and every interaction is clearly only focused on either closing a deal or collecting our information for their database. They think in terms of short term revenue instead of long term value. They look at customers are only a necessity on their way to making a profit. And they make the world a worse place. The good news is consumers have more ways than ever to filter these brands out and expose their selfishness as a warning to other consumers. So whether you have your own business or work for someone else, there is more incentive to make sure you are not intentionally becoming one of those selfish brands. But how can you avoid it? First you need to be able to spot the selfishness. To help, this post shares real examples of five of the worst habits we often see from brands, and then offers some lessons for how to be better than that. Finally, I will also share some examples of brands doing the exact opposite and putting extremely valuable services and thinking back into the world in big and important ways. 1. Take any opportunity to cut corners. Perhaps the worst brand succumbing to this habit is one that has plenty of money to be able to operate differently. Apple has a sad history of failing to take leadership in the issues that they clearly have the funds and industry clout to do if they wanted. They have consistently failed to lead on issues related to labor standards or using conflict free minerals. Their choices for using proprietary technology on things that could easily be standardized have been criticized (and legislated against) for being purely motivated by profit. 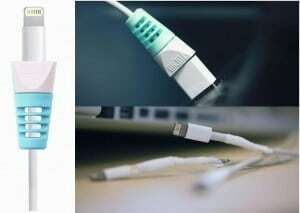 Most recently, their use of cheap design for flimsy power charging cords has sparked others to launch products that should be unnecessary to correct the problems. The Solution: What if, instead, the world’s most profitable technology company chose to spend more of those profits on being a leader in those industry issues where it could? What if they provided a truly premium experience to justify their high product costs on every level – even down to the quality of the charging cable provided with their products? The point is, when consumers see a brand consistently choosing to maximize profits instead of doing what is right – that is a selfish choice. And consumers do notice. 2. Pretend to be something they aren’t. When the “Got Milk?” campaign first came out, it was a brilliant example of focusing exactly on the thing that made their product unique. In those situations where they asked that question – there really was nothing as satisfying as milk. Lately, though, the same group has extended its focus to a more unique positioning of a more questionably healthy product — chocolate milk. 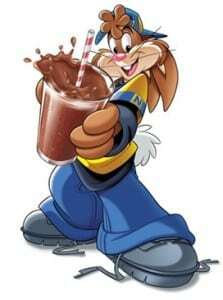 This campaign positions chocolate milk as the ideal recovery drink for athletes – using convenient data comparing chocolate milk against water or sports drinks to reach this conclusion. This positioning, as a healthy drink for athletes, translates into a more dangerous one for kids … that chocolate milk can help them be healthy. It is easy to argue that kids are not the target for this significant advertising push – but they spokespeople behind the campaign are clearly kid friendly athletes. The Solution: What if the brands that were promoting these products with high sugar content and questionable health benefits instead started speaking about them in more real terms? 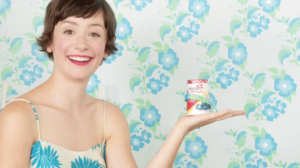 Yoplait, for example, in a new campaign featuring their “25% less sugar version” of yogurt directly calls it a “snack.” The successful advertising for Snickers candy bar promises the bar will satisfy your hunger, but never positions the bar as a healthy alternative for a meal. Selfish brands make promises to be something they aren’t. Instead of doing that, be candid about what you are actually selling. Looking the Super Bowl is a great way to find the most visible recent examples of culturally tone deaf advertising. 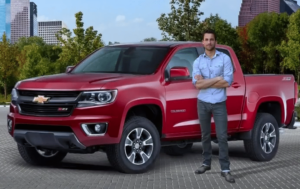 This past year, one of the worst offenders was Chevrolet – using outdated stereotypes of men to position it’s latest pickup truck as a way to be more attractive to women. We see this same type of stereotype often applied in the opposite direction through marketing that objectifies women as well. Yet there are plenty of signs that the days of this type of marketing are numbered. Backlashes against these mistakes are predictable and frequent. And instead, campaigns that challenge stereotypes and paint a new picture are being celebrated. A central theme among the award winners at the Cannes Ad Festival this year, for example, was the emergence of “girl power” as a theme in award winning ads. The Solution: In this case, the solution is relatively simple in theory … but harder in practice. Rather than retreating to the common and comfortable stereotypical descriptions of a target audience, why not expand and look broader? 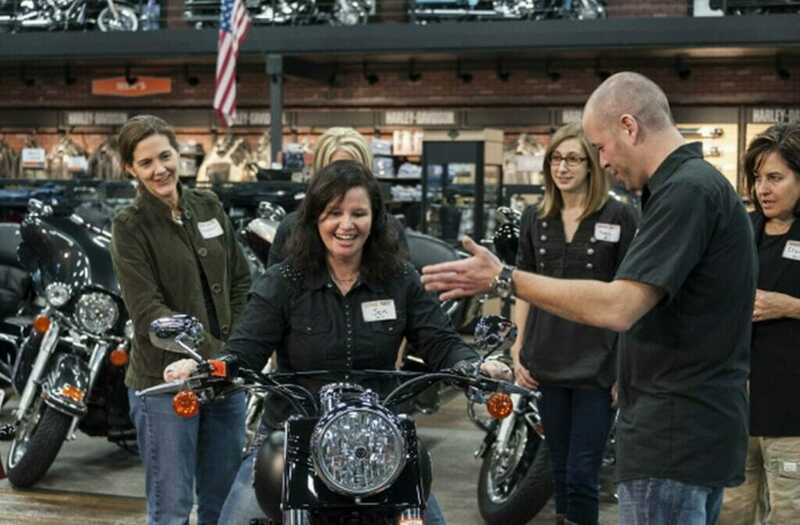 If a traditionally masculine 112 year old brand like Harley-Davidson can make a big strategic shift to start appealing to women riders, your brand can rethink its approach as well. 4. Make people feel bad about themselves. Fitness and beauty advertising has a bad habit of creating false images of perfection for both sexes that are impossible to recreate in real life. The photoshopping of beauty images has brought more visibility to this, but the fact remains that there is plenty of marketing that is solely designed to help people feel worse about themselves so that they will actively go and spend money on perceived solutions to help them feel better. Fitness memberships are just one of those types of solutions that people try to spend money on with the promise of looking better. The problem is, even with those the ideal seems too high often and therefore only feels reinforced with those who are already in great physical shape. 5. Help promote stupidity by celebrating it. Reality television is the world’s best method for celebrating stupidity. The biggest problem is that stupidity can be infuriatingly watchable. In fact, sometimes it is hard to turn away. No wonder reality television has had record growth within the last decade. Sadly, this has given rise to some very questionable programming, and one of the worst offenders of producing it is the cable network TLC. Recently, two of their shows – Here Comes Honey Boo Boo and 19 and Counting were canceled amid controversy about the behaviour of the “stars” of the shows. It is tempting to blame this on the consumer instead of the network. After all, they wouldn’t make the show if people didn’t want to watch it, right? And the shows are getting smarter at fighting back with convenient data to illustrate that their shows may actually be having a positive effect, like this recent story of how MTV’s show 16 and Pregnant might actually have prevented teenage pregnancy. The Solution: So are reality shows really that bad? Technically Shark Tank is also a reality show and many people are staying that it may actually be changing entrepreneurship in America today. So featuring reality can be effective and impactful, but not when that reality is solely focused on offering a voyeuristic journey into the bowels of stupidity. Just because watching dumb people do dumb things is irresistible for many people doesn’t mean that your brand should be creating it – in your own programming or content marketing or in some other method. You can be better than that. In the stories and examples above, I have shared several stories of brands doing negative things in selfish ways. In most cases they are getting punished for them as well (ie – TLC canceling two of their formerly popular shows). The good news in this is that as consumers and the general public get smarter about seeing through this selfishness – they are inspiring more brands to change. In fact, this is happening with such frequency that it has become a trend – and those brands that act on it are getting a lot of attention. One of the trends I wrote about in Non-Obvious pointed to this evolution of brands making more positive contributions to society and how this “Branded Benevolence” as I called it may be one of the more hopeful trends for business to offer more value back to our society. Among the examples I shared in this trend were CVS deciding to stop selling tobacco products, or Tesla offering to make some of its patents available to competitors, to brands like Coca-Cola driving to drive social change and even bring nations together through clever and viral advertising. Each are examples of brands doing more to rise above selfishness and do things differently. And they are being celebrated for it. Being a selfish brand – or even a selfish individual is easy. 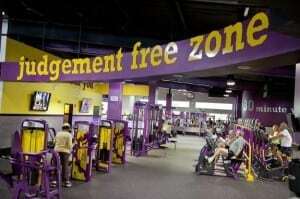 All you have to do is focus on yourself and forget about anyone else. Choosing to be more than that is hard. But brands are making that choice every day and it is our challenge to continue to reward them for it. And to find the best way we can to stop supporting those don’t. Rohit Bhargava is the WSJ best selling author of Non-Obvious: How to Think Different, Curate Ideas & Predict The Future. He is the author of five business books, a frequent keynote speaker and a believer in building brands that act in unselfish ways, use their humanity and create more value in the world.